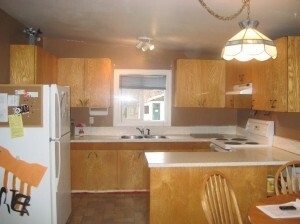 This great family home has 3+1 bedrooms and 1 bathroom with over 1700 square feet of living space. It is located on a huge 1/3 of an acre lot. Recent updates include paint, flooring, furnace and baseboards. There is a detached shop with power in the back and an attached single car carport. This home is located on a very quiet street in Brock. Priced at $304,900. To veiw all homes for sale in Kamloops click here.